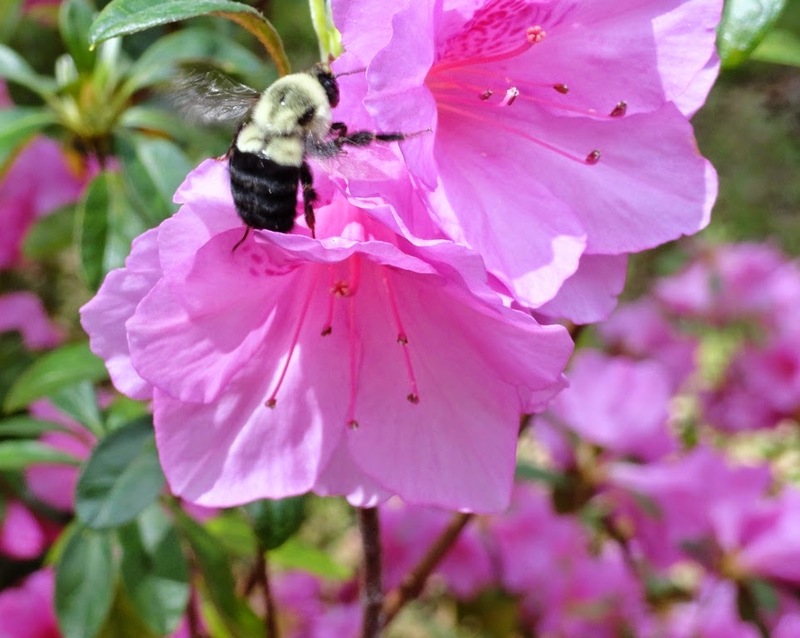 Our Pine Belt Quilters guild enjoyed the Round Robin Challenge that Dianne McLendon organized for us last year, with very interesting quilts resulting. I called it a "selfish" round robin because we kept our own piece from start to finish. You can see the finished pieces here along with the assigned fabrics and rules. She has organized another challenge for 2015-16, called a "Shapely" Challenge. 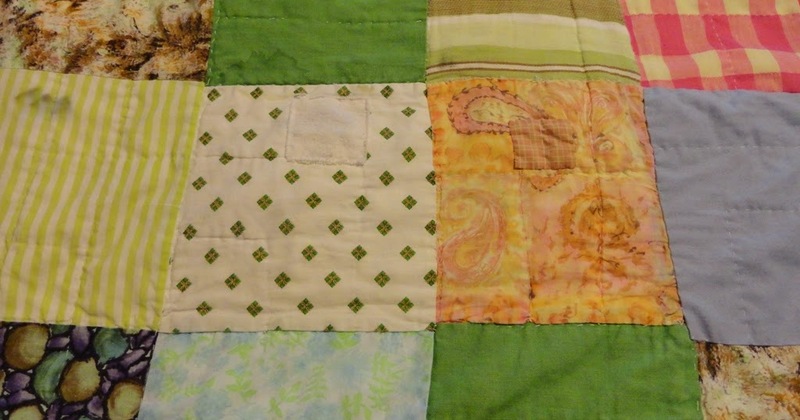 We paid $10 and received a packet of five fat quarters, which have to show up somewhere in the finished quilt. No two packets were alike. We can add any other fabrics we choose. Every other month we will be assigned a shape and will make four different 12" blocks using only this shape. The first shape is a SQUARE--think of a nine-patch made up of nine 4" squares. 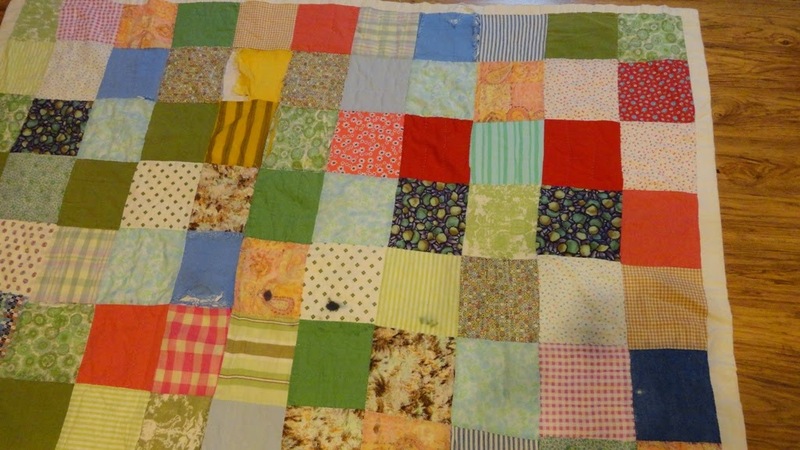 Some other possibilities are sixteen 3" squares, four 6" squares, thirty-six 2" squares, or a whole block of 1" squares! We will be assigned a shape (sometimes more than one shape) in March, May, July, September, and November, and then have four months to complete our project, to be revealed in March 2016. This activity offers a different set of challenges in that we can plan our color palette from the beginning and also know we will always be making 12" blocks. 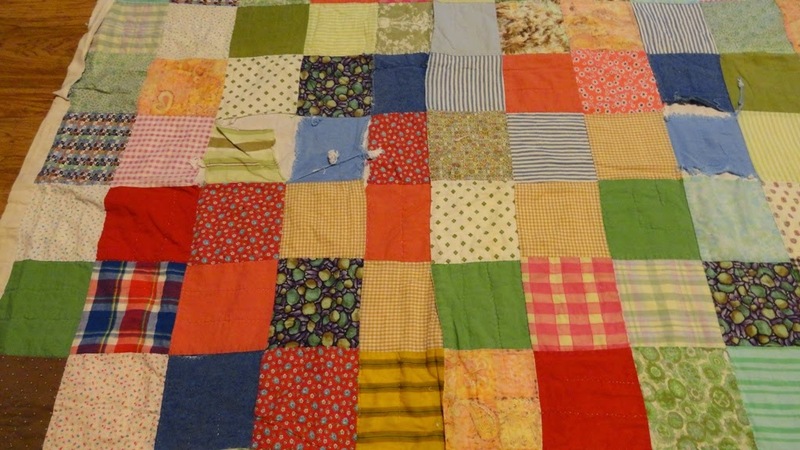 Every time we approach a quilt from a different standpoint, it can be a learning and growing opportunity. Here is my starting packet--at a glance I see that I have mediums and lights so will have to be sure to add some darks and background solids. 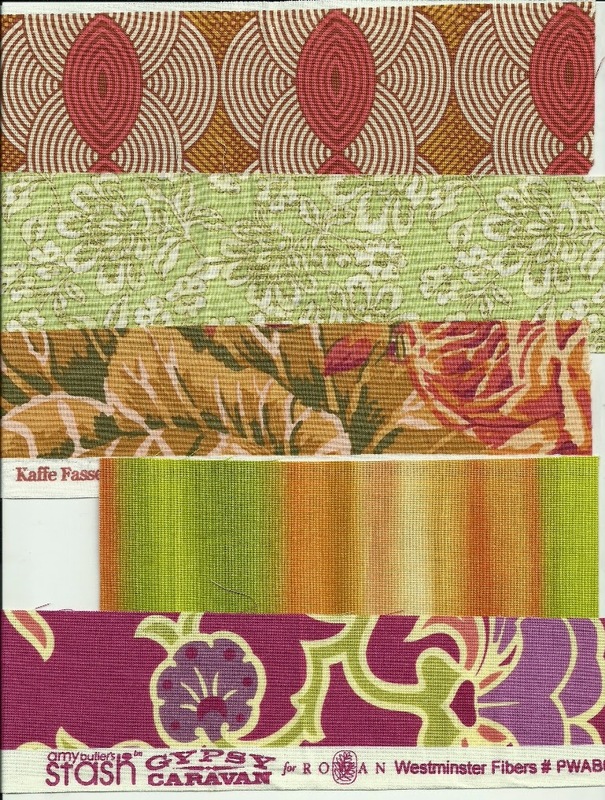 I love these fabrics--rose, coral, lime green, butterscotch! 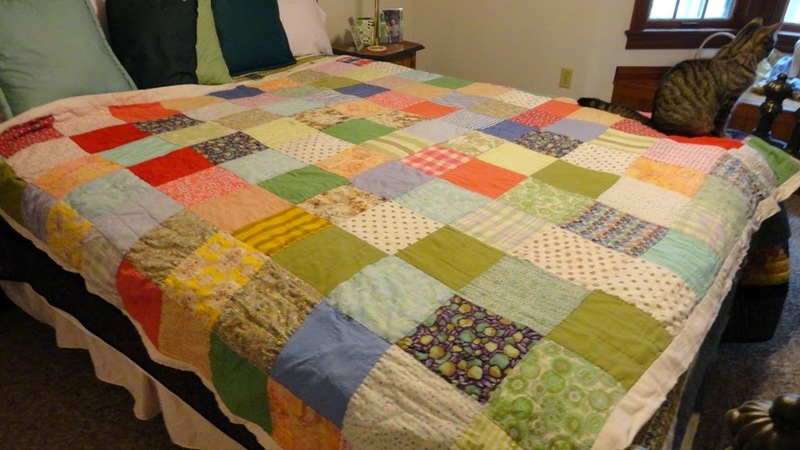 I finally finished repairing the old quilt I agreed to do back in November. 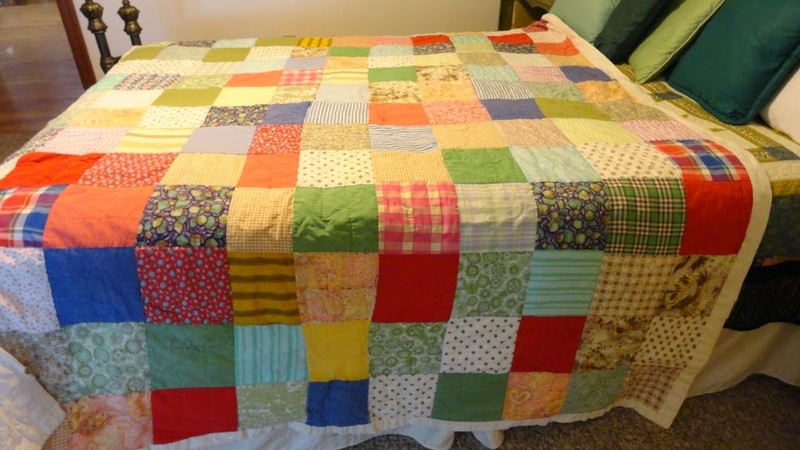 My goal was not to make it look new--just secure or replace the loose patches and stitch and/or quilt to get the quilt back to a usable state. It is a dear and precious piece made by the owner's grandmother and it had cotton tumbling out and ragged places from years of loving and use. It was more difficult than I anticipated because the cotton was hard and packed from washing and knotting. 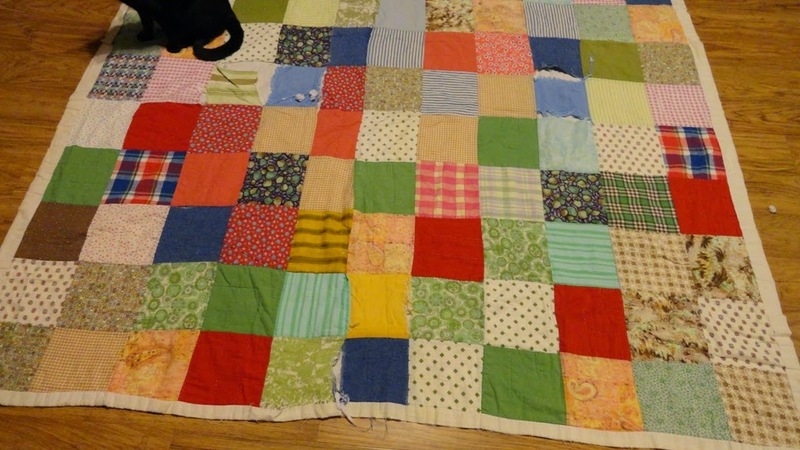 Luckily, the original quilting design was straight lines or L-shapes about 2" apart, so there was a minimum of quilting needed. 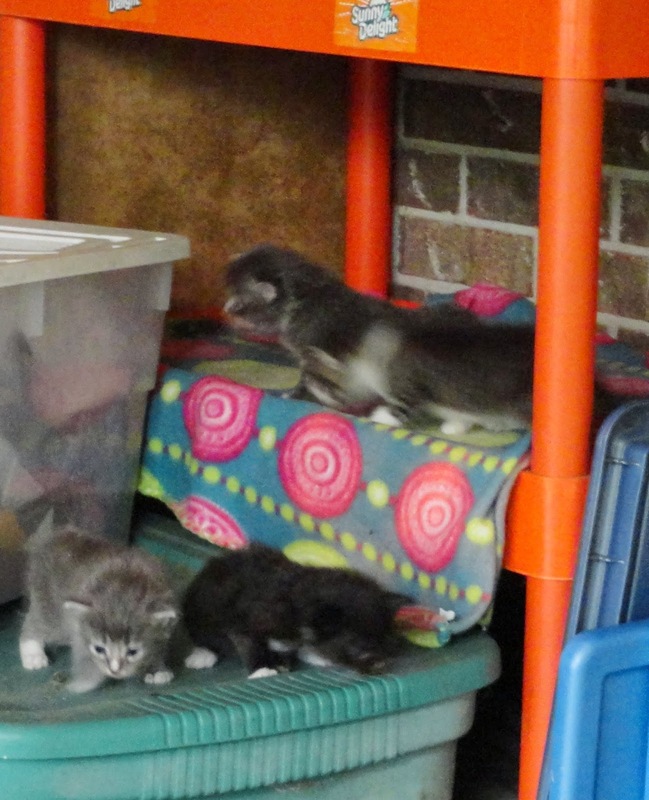 My foster kittens from Southern Pines Animal Shelter are three weeks old now and beginning to walk about. 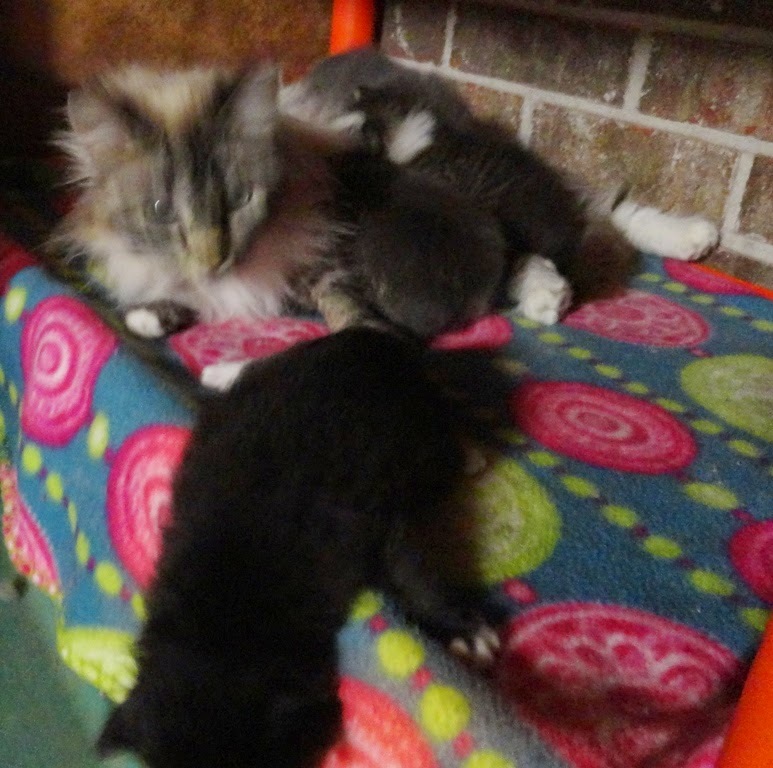 Mama has moved them again, to a shelf away from the side of the garage. I think a thunderstorm caused her to want to move away from the windows, so I put a fleece blanket under them and she seems content. She gets nervous when they don't stay with her, but in a few days they will be all over the garage. I've already begun leaving my car outside! 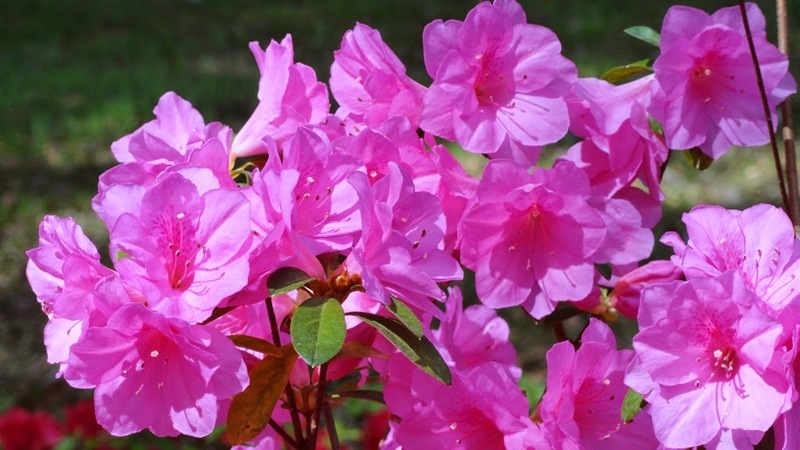 What a beautiful springtime we are experiencing in South Mississippi. 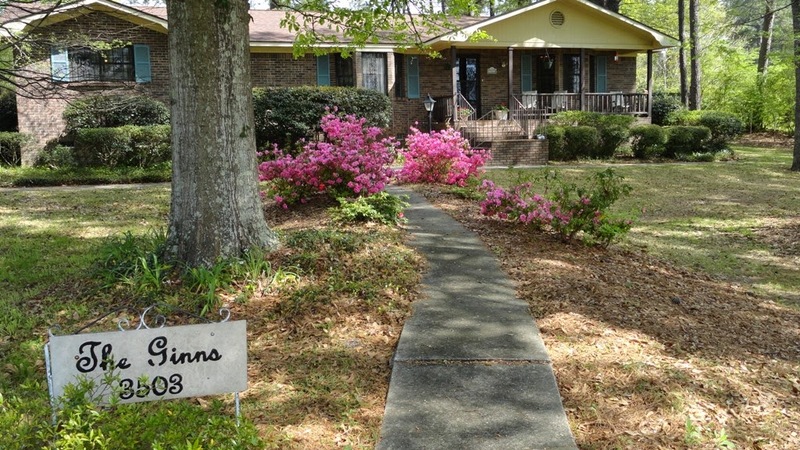 My azaleas have exploded with color, and I have put out a few bedding plants. 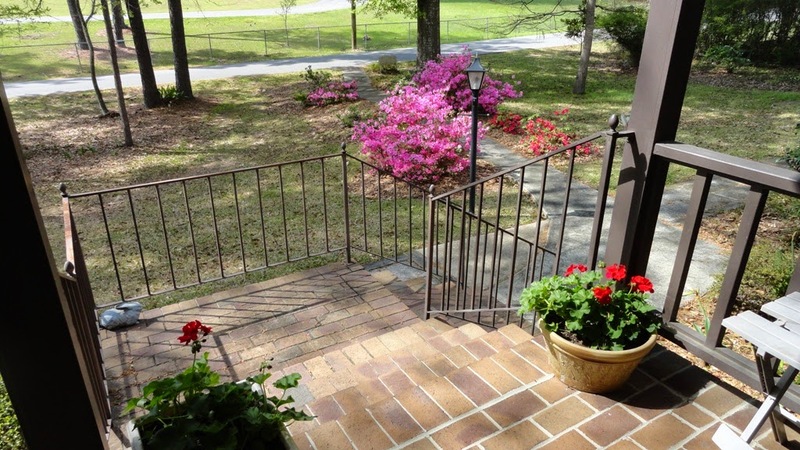 The grass is beginning to show green, even under a fine dusting of yellow pine pollen. 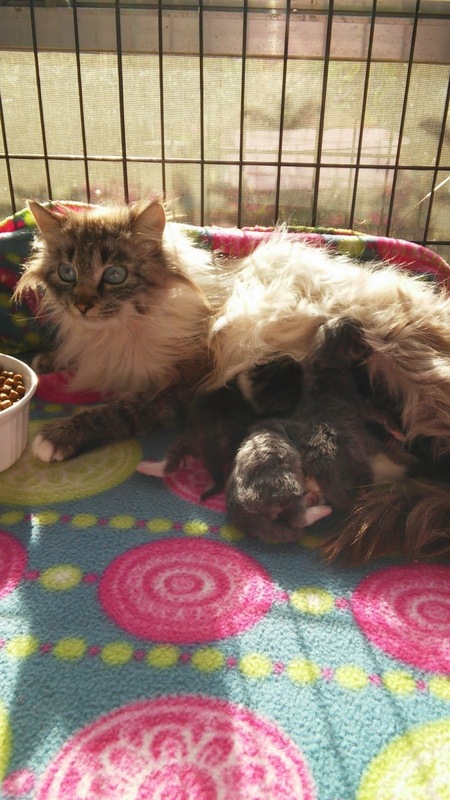 My most unexpected news is that I am fostering a small mama cat and her four babies! 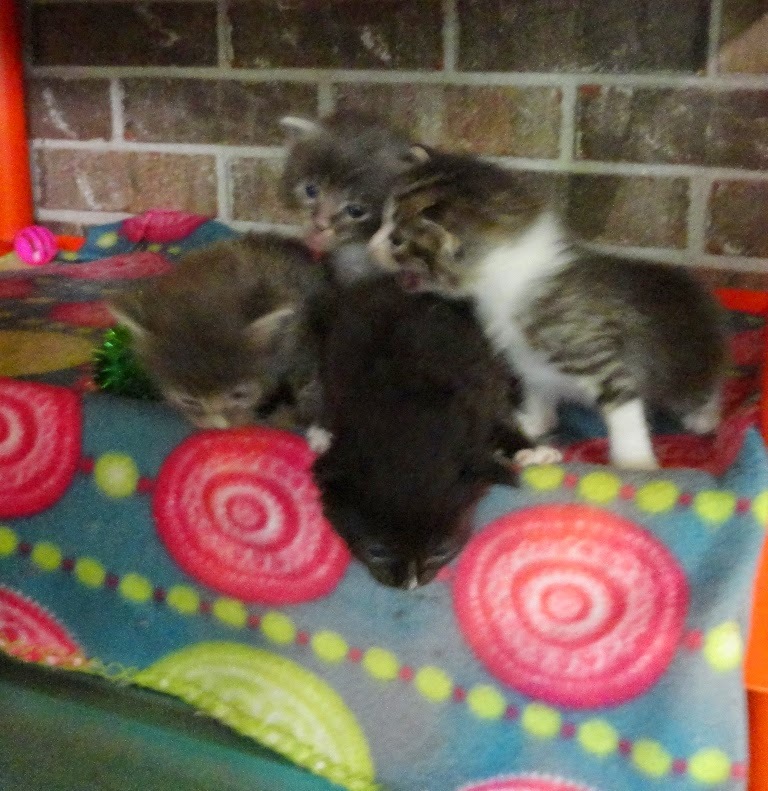 Southern Pines Animal Shelter called saying they needed a quieter place for several litters of kittens until they were old enough to be adopted and could I help for about eight weeks? I decided my garage could accommodate the large crate and I would enjoy watching the babies grow. 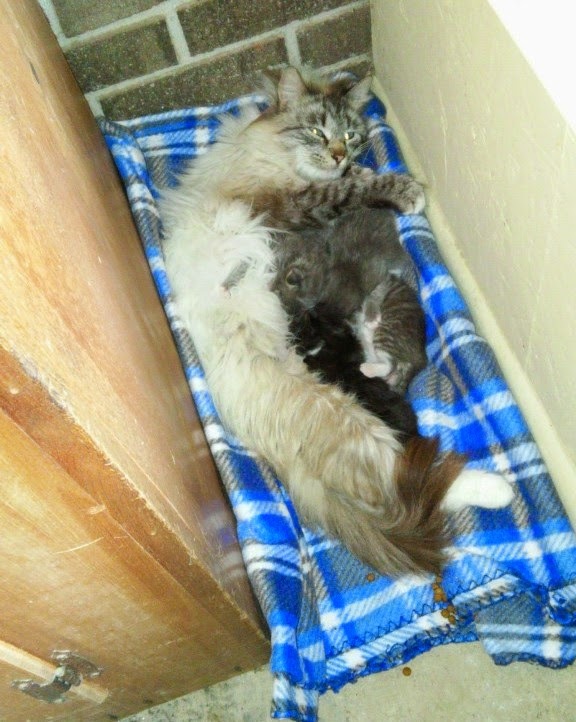 Caboodle is beautiful and a very protective mama. In fact, my cats are terrified of her. She enjoys being held and brushed and purrs loudly. 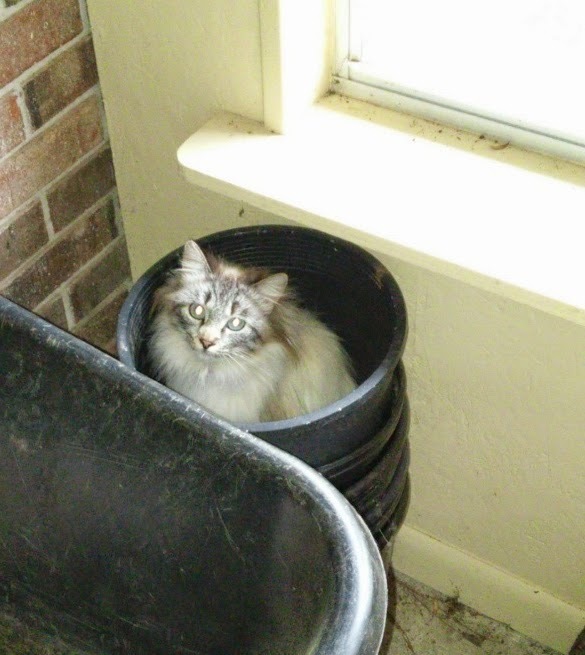 She hates the cage and keeps trying to move the babies to a darker place--like maybe this bucket. . . .
She finally agreed on the floor between a cabinet and the wall and seems very content here. 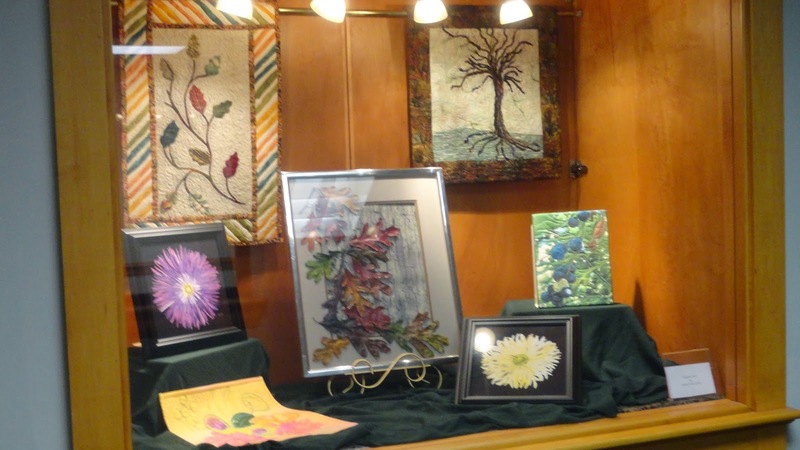 I always enjoy showing my fiber art. The person who arranges the display window in the hallway of my church asked to use some of my work, so we put put seven pieces there for December through March. (It is hard to get a good picture with the lights and glass.) Click any picture to enlarge. 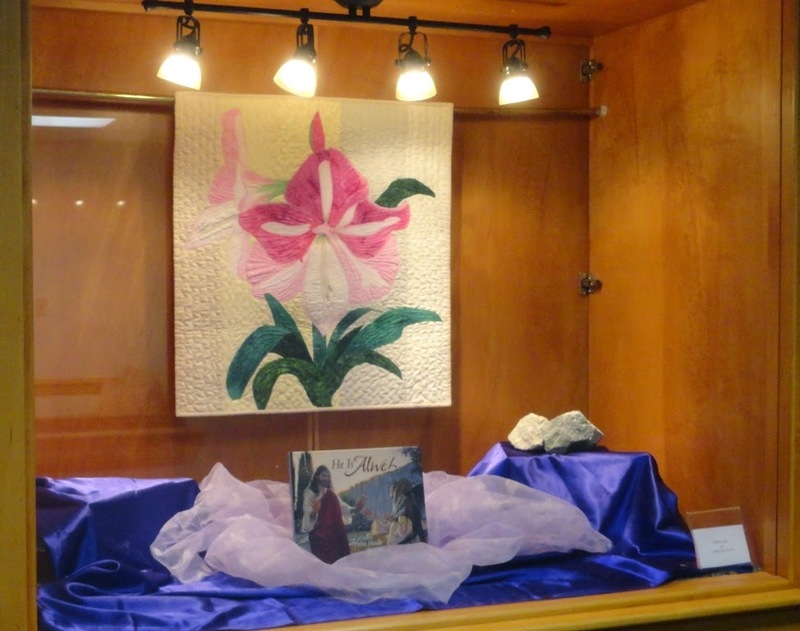 We changed the display for April to feature an Amaryllis quilt with a children's book about the resurrection. Last November I participated in helping a student create a quilt square for the Stone County Community Quilt Project (see details here). 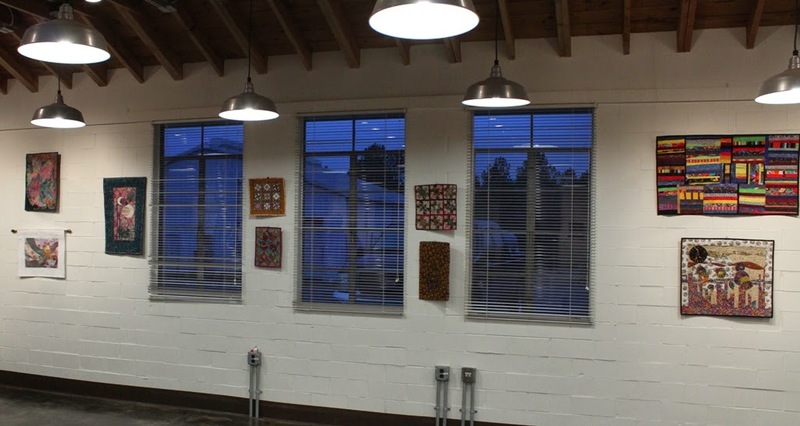 J. Marcus Weekley assembled the squares into a quilt, and the quilt was displayed in the Stone County Art Center along with several other pieces of fiber art. 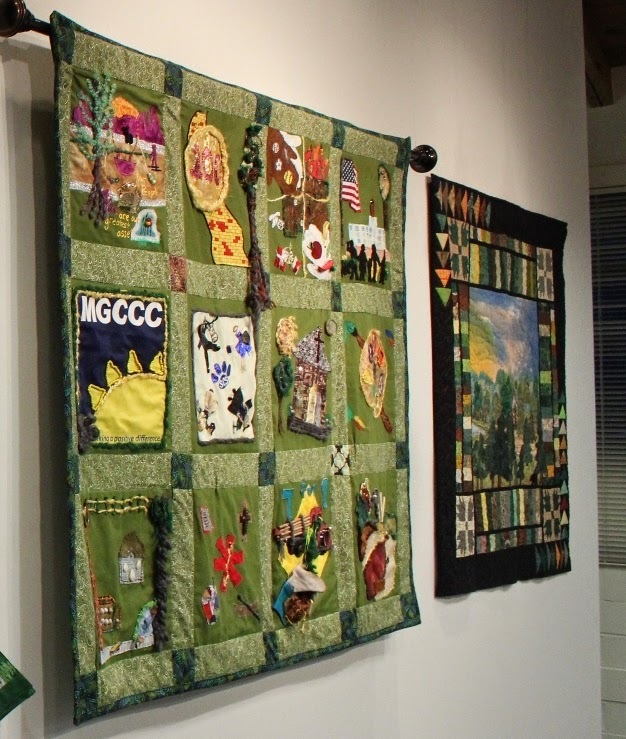 My Cabin in the Woods (a collaboration with Mary Nell Magee) is on the right of the Stone County Quilt below. The three pieces on the far left are mine, as well as the two on the far right.